Brisbane has a brilliant food scene with heaps of well known chefs spread throughout the city and the inner suburbs. The Aussies do it all well from French, Italian and divine vegan options. Here are Brisbane’s best restaurants. You’ll find Gerard’s Bistro hiding down a lane way in the beautiful James Street, Fortitude Valley. This indulgent restaurant is a fusion of modern Australian, Maghred and Middle-Eastern. Go with a few friends and try the full banquet experience, the wine list is well curated to match each dish. Beccofino is somewhere between relaxed and smart dining. If you’re aching for a perfect pizza then this is the place to be, but if you need some more complex Italian food, you won’t be disappointed. The service here is fantastic and it feels like you’re in Italy! Otto provides both outstanding cuisine and an outstanding view. If you want to impress someone whether personal or professional, this is where you want to take them. Otto is all about fine modern Italian food and sensational service. You can’t go wrong with anything on this menu! Urbane is so well styled that it’s worth the visit just to see the beautiful minimalist interiors (and even more amazing bathrooms!) If you’re after fine dining, you’ll want to visit Urbane. The menu can’t easily be labelled by country or style, with a truly global flavour influence and presentation that’s out of this world. You’ll just have to visit to see for yourself. Head chef Philip Johnson has a strong and loyal following for a good reason. E’cco is one of Brisbane’s longest standing bistros that opened its doors way back in 1995. E’cco serves divine modern Australian with a dessert menu that never disappoints. 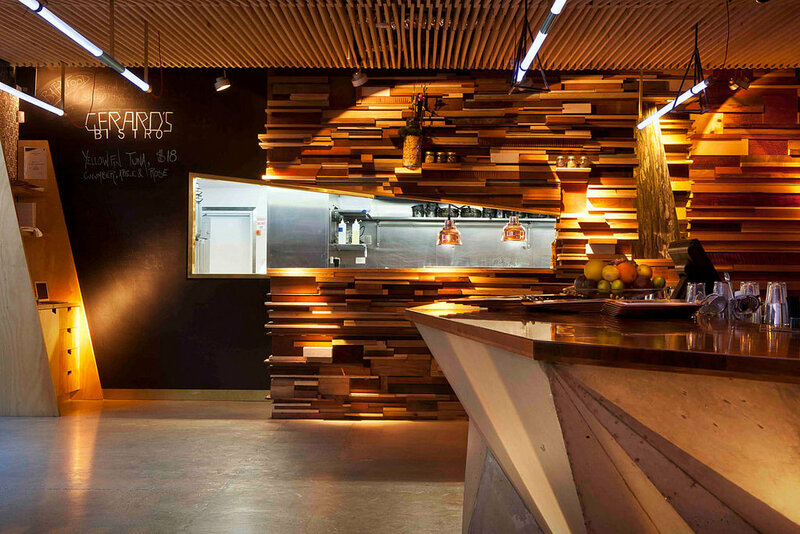 Think wood-fired pizzas, Italian mains and a top notch tiramisu served up in a casual modern warehouse style space. If you’ve got a pizza craving and are after a more relaxed atmosphere, this is where you’ll want to head. If you’re finding it hard to chow down on some quality Teppanyaki in Brisbane, then look no further. Sono does outstanding Japanese food with the option for wine matching. After dinner, take a walk along the river at night for a beautiful setting. Stokehouse is a somewhat recent addition to the Brisbane food scene, but it packs a punch. 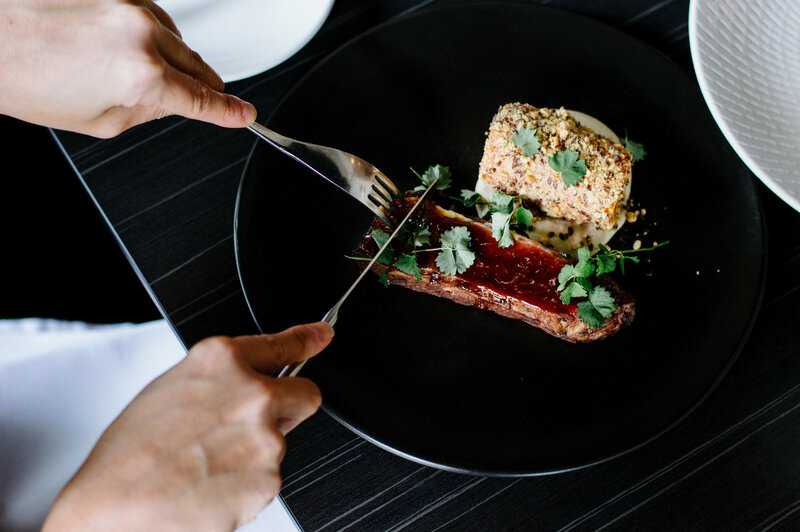 Nestled on the river at South Brisbane, Stokehouse is influenced by the Mediterranean and greater Europe, using some of the freshest local seafood Brisbane has to offer. Can you really go wrong at a place that offers unlimited fries with your steak? Les Bubbles is a Parisian style steakhouse that is well known for well-cooked flame grilled steaks and endless frites. Head downstairs to the Bath House for a few drinks, it’s a full functioning 15 person spa bath! Pearl Café feels like it’s been a cosy Brisbane gem for decades. Open for breakfast, lunch and dinner, this cosy restaurant is perfect for a casual or more special occasion. If you’ve got a bunch of friends together, take them to dine upstairs in ‘The Servery’, which is perfect for groups.